Created in 2004 by Philippe Soret, Electro Concept France is a leading company in the French photovoltaic sector. 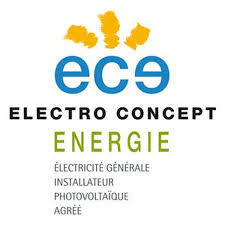 During the past decade, Electro Concept has installed more than 6 megawatts all over eastern France, representing more than 1,200,000 ft² of photovoltaic installations, for both corporate and individual clients. Actively involved in the preservation of our environment, Electro Concept has become quickly a main actor on the French PV market. Enjoying a strong growth, its needs have naturally evolved. “We needed a bet ter software solution to manage our installations in the most efficient way possible. Our former calculation software became obsolete”, Mr Philippe Soret, CEO at Electro Concept France, said. Thanks to business-friendly policies put in place by the local authorities, Electro Concept switched to Trace Software International’s photovoltaic software, archelios™, in 2014. “After studying the various solutions available for us, we have finally picked archelios™ over the competition” told Mr Soret. Precise and performant, archelios™ represented for Philippe Soret and his team the best answer to their needs. “At first it was a real challenge to use this new solution. We had to start from scratch by learning how to use two solutions at the same time”, Mr Soret added. archelios™ helped Electro Concept managing completely and efficiently their photovoltaic installations and energy consumption. “One of the best aspects of this software is its ability to compile current reality with future predictions. Such feature is highly helpful, allowing us to manage our installation in the best way possible”. “One of the best aspects of this software is its ability to compile current reality with future predictions”. Sales Representative at Trace Software International, Antoine Petrucelli followed up the whole migration process from their former software to archelios™. “Antoine was very efficient and pro-active. Always available to answer to our questions. I know we can count on him and his professionalism. It is a pleasure to work with him and Trace Sof tware International”.